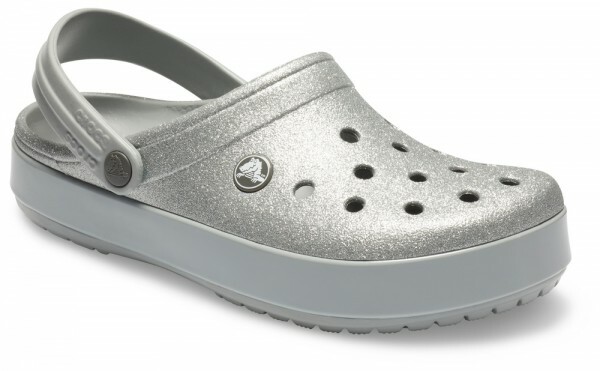 Product information "Crocband Glitter Clog Silver Croslite"
Is there really such a thing as too much sparkle? We think not! These glittery clogs are the perfect accent to your favorite jeans, skirts or leggings. A brightly colored pair of socks will only up the adorability factor and fetch tons of compliments at this seasons holiday parties and beyond. Related links to "Crocband Glitter Clog Silver Croslite"
Customer evaluation for "Crocband Glitter Clog Silver Croslite"